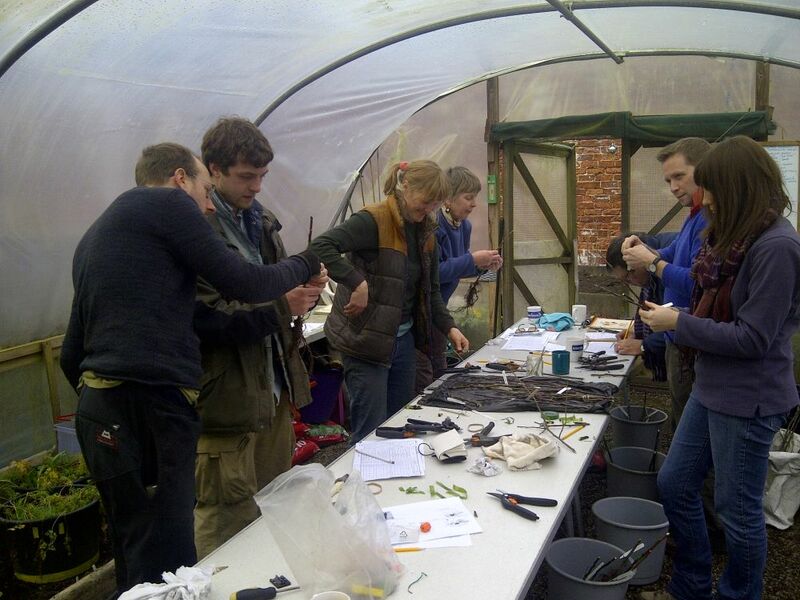 Today I went on my first ever grafting course, something I have been wanting to do for years. And it wasn’t hard at all! Niels Corfield of Edible Cities ran the course at Bardon Grange in Leeds. The sun shone brightly and so we sat outside to do the theory section of the course and then moved inside a polytunnel to do the practical. I have come away with three new apple trees which hopefully have survived being bounced around on my bicycle, will grow well and produce lots of fruit in the years to come. What I hope to do eventually is have enough confidence to make my own family tree (several different varieties grafted onto one tree) and to graft a medlar onto one of the hawthorns that we have growing in our garden hedge. Thanks to Niels and everyone else for a wonderful day! 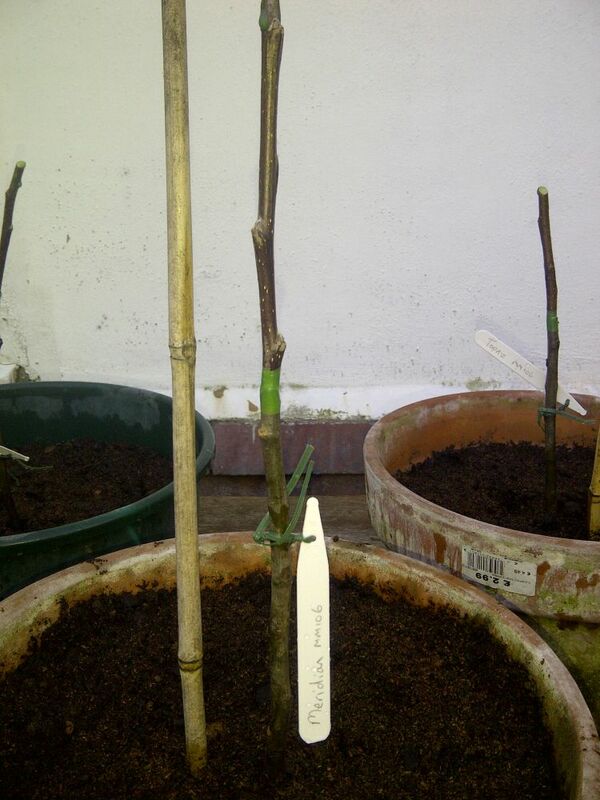 This entry was posted in Food, Garden, Trees and tagged apples, Bardon Grange, Edible Cities, fruit trees, grafting. Bookmark the permalink.